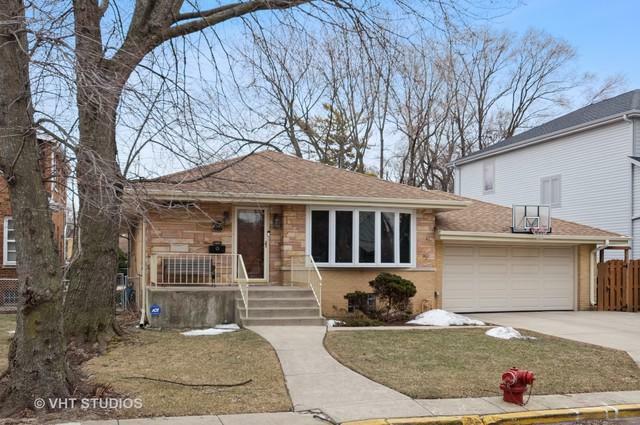 This Edgebrook Step Ranch is much bigger than it appears! 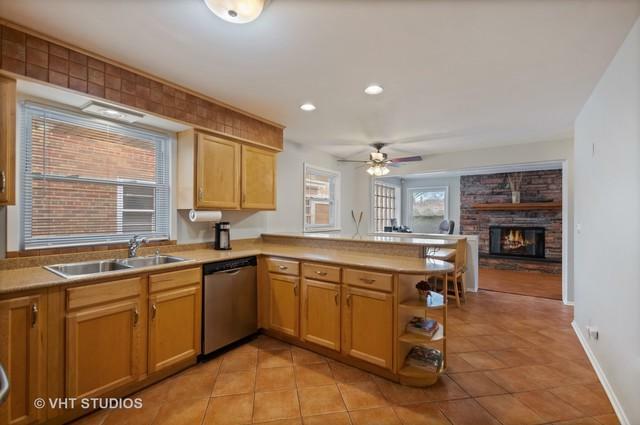 Come by and see this Spacious Family Home for yourself. There are 3 Bdrms, 2 Full Bths upstairs and 2 Bdrms & another Full Bath downstairs. Warm Hardwood Floors run throughout the 1st Fl. The light-filled LR leads you to the open and inviting Kitchen/Family Room. 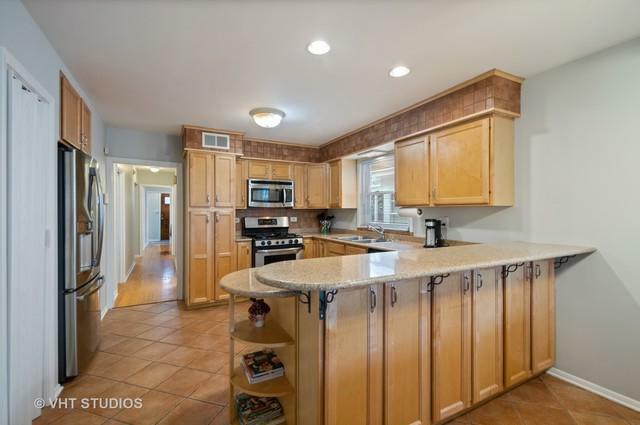 The Kitchen has an abundance of Maple Cabinets, Silestone quartz Countertops, SS appliances, Peninsula and an Eat-In Kitchen Area w/ Picture Window. A beautiful Stone Wood-Burning Fireplace is the focal point of the FR, with plenty of space for relaxing and entertaining. The back door leads to the Lrg Deck and Yard, perfect for outdoor meals with family and friends. The finished basement includes a good-sized Rec Room, with a separate space that can be used as a Home Office, 2 additional Bedrooms and another Full Bath. 2-car Garage w/ Drive and Underground Sprinkler System. 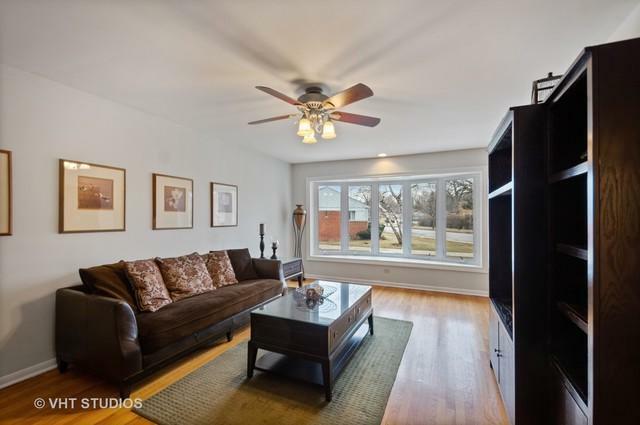 Great Location within walking distance to Edgebrook School, Town and Metra, close to Interstate.